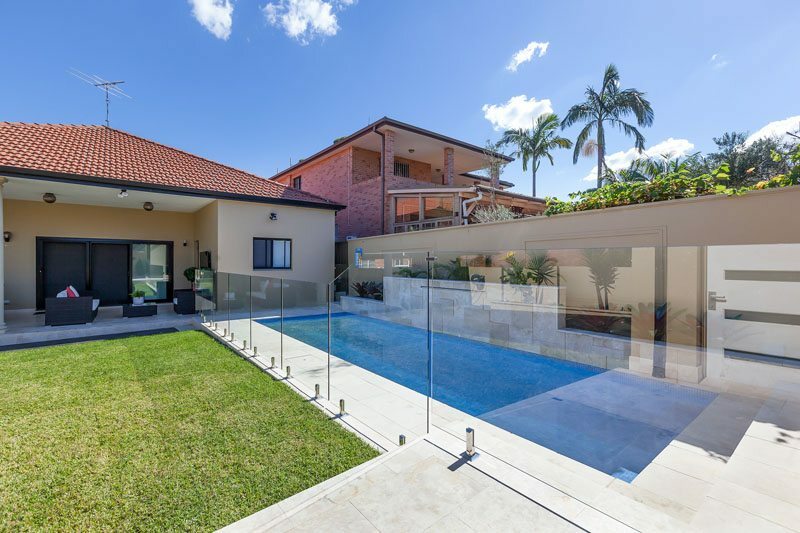 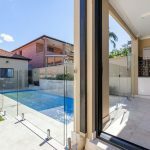 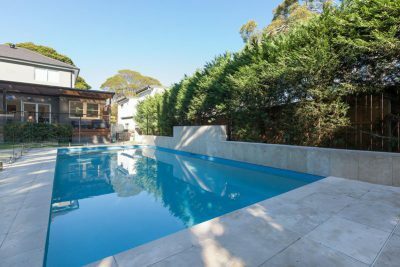 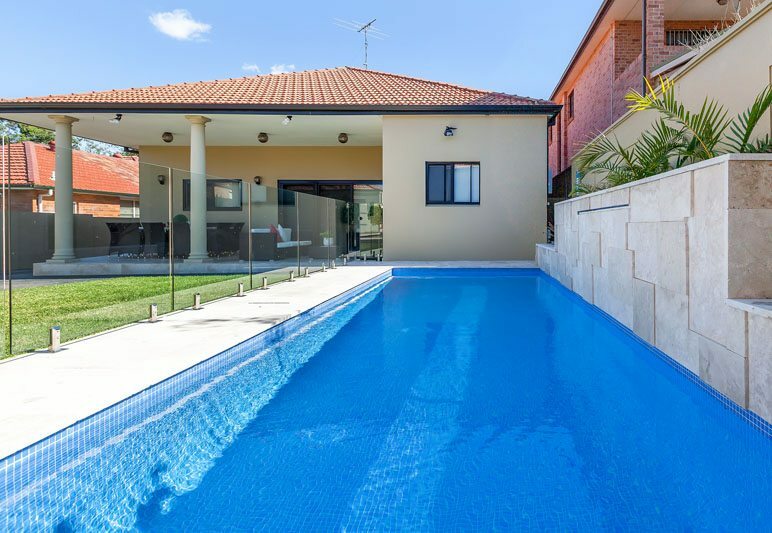 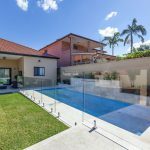 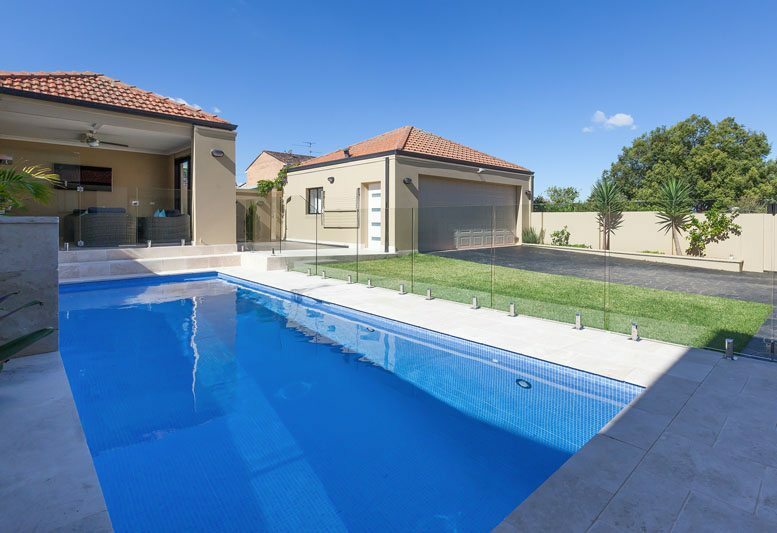 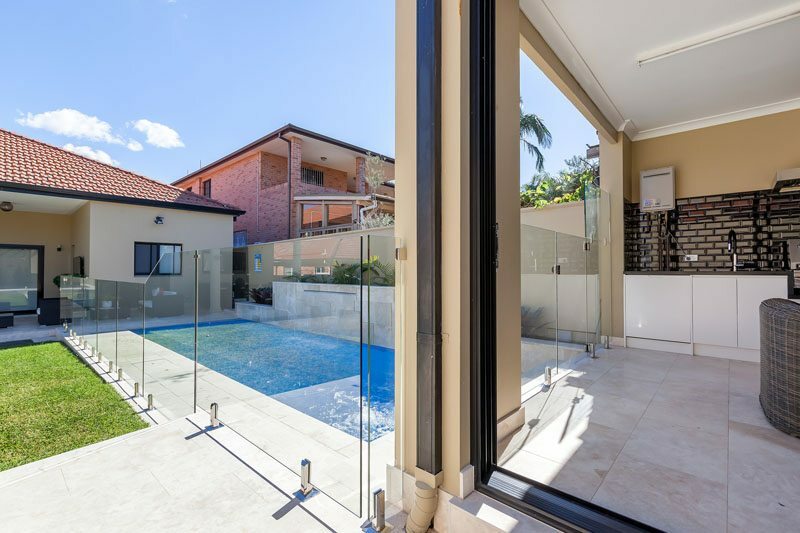 This sparkling sky-blue pool in Enfield was designed by Steve and features a standout interior that is fully tiled with glass mosaic. 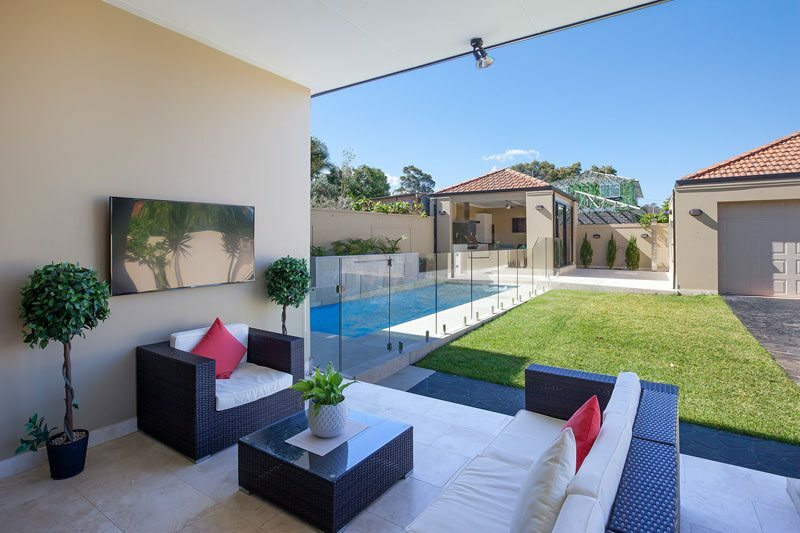 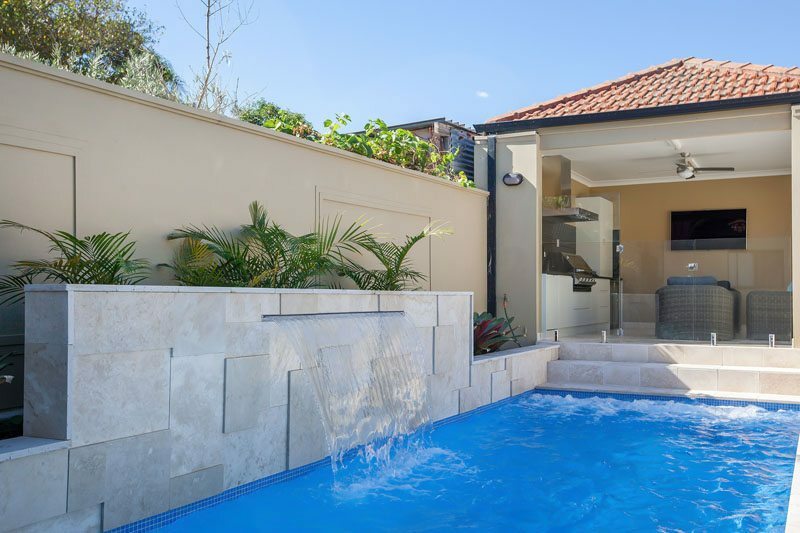 This sophisticated design incorporates a feature wall with an elegant paved sheer descent waterfall. 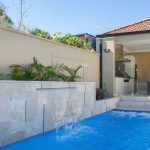 We landscaped the feature wall with planter boxes and some palms for a modern effect of clean simplicity. 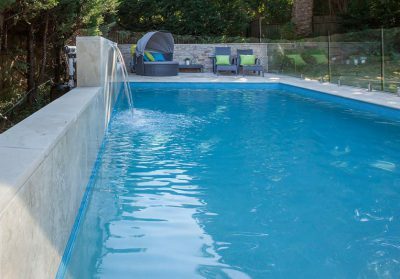 The pool coping width is 200mm – which gracefully sets the pool in with its bright paving surrounds, creating the timeless Grecian effect of blue and white contrast. 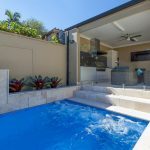 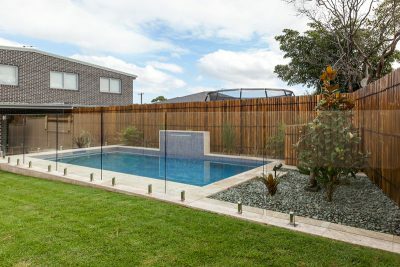 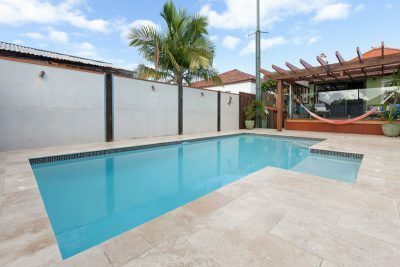 Build by our expert builder Richie; our client opted for our Enviro-Smart Mineral pool system – a system which brings the minerals of lagoons and the ocean into your backyard. 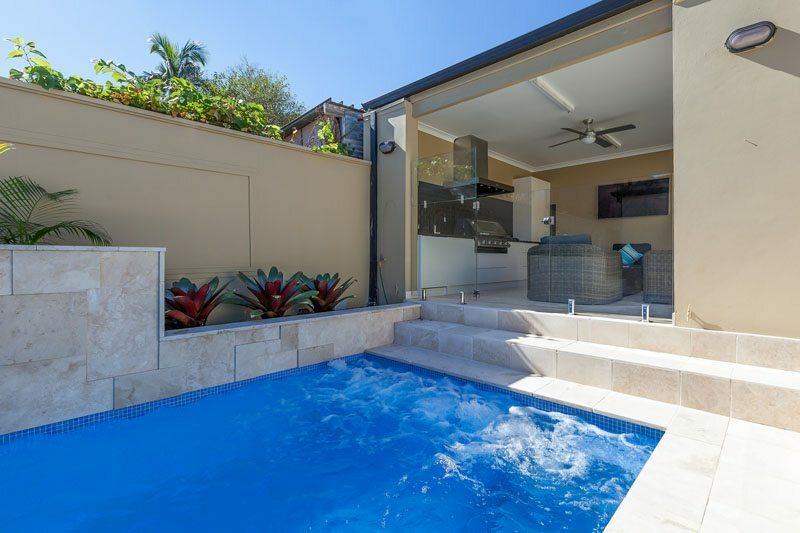 They also opted to use a gas heating system.